With refinements in manufacturing derived from years of experience in lean operating, the majority of Rostra's products are available to ship to customers on the same day they're ordered. With two nearby international airports and one shipping port, you can be assured your products are on their way to you in less than two business days. This fast turnaround time from when an order is placed means you receive your items quickly and can satisfy your customer's needs. With our ability to process large-scale international shipments internally, Rostra helps save you even more by dealing directly with freight forwarders and eliminating the need for third-party freight scheduling. As well, we operate in 100% compliance with FTA guidelines and process all Free Trade Agreement exportation documents in-house for overseas countries including Australia, Chile, Peru, Singapore, Jordan, The Dominican Republic, and many more. In the automotive aftermarket, the warranty you provide your customers speaks volumes to the quality of your products. Likewise, an extensive warranty can inspire confidence in the consumer and assist in making a sale. Through our rigorous testing procedures both before and after a product's launch, we've implemented an unmatched 3-year / 36,000 mile guarantee for our top of the line products. 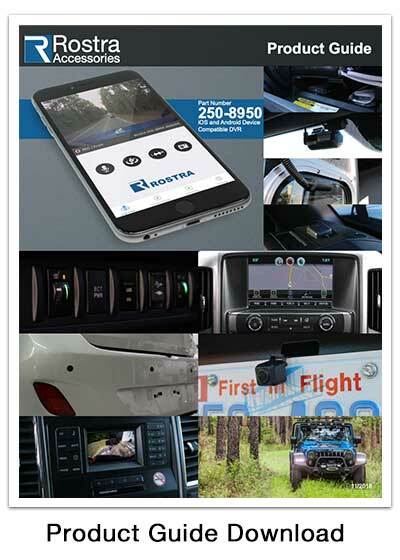 Rostra's commitment to you doesn't end once your purchased items have shipped. Our customer service and technical support representatives are available Monday through Friday from 8:00 AM to 5:00 PM EST to assist with follow-up inquiries, technical questions, and product feedback. For customers unable to call during regular business hours, we gladly answer inquiries via email through our Contact page. Please use the form below to let us know more about your interest in our products as well as your location. For product inquiries in click here to contact our Customer Service Department.